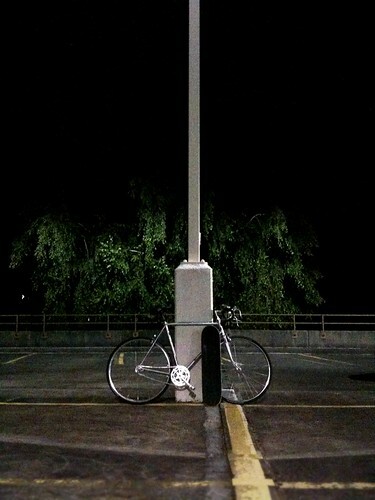 This morning I spent 5 minutes staring at the combination on my bike lock while standing in the basement of my workplace – spinning the cylinders, listening to the tumblers tumble. Or rather, not tumble. Complete blank. Nothing would pull the number out of my head. Eventually I left my bike unlocked in the basement, went upstairs to my desk and continued to think about the number hiding in some mysterious brain hole in my head. I read email, checked task queues and did other such first-thing-in-the-morning items. I had just used the lock 2 days ago with no trouble remembering the combination. And there it was, practically illuminated in my screen. I went downstairs, locked the bike, went on with my day and remembered the number just fine when it came time to go home. When I was in 8th grade, upon returning from Christmas break I could not remember the combination to my locker. Thank goodness for locker partners at that age. I remember 2 of the locker combinations I had in highschool, more than ten years ago. I once had a snowboard lock either fail or I forgot the combination after locking mine and a friends snowboard while breaking for a quick lunch at Indianhead. I’m near certain it failed though as most locks of that nature require you to have the combination set before allowing the cable to be locked. I also once had a snowboard stolen because it wasn’t locked.